Premier League Preview for _ along with Predictions for the matches on week 33 of the EPL. Follow up each match with results and video highlights posted later in the week. You can also check out the weekly EPL TV Schedule. Chelsea come into Wednesday’s London derby (if you want to call it that) off of the back of their disappointing FA Cup semifinal loss. Fulham had a recent run of form, but their past two matches haven’t been all that inspiring. Calling this one is going to be somewhat difficult. Fulham haven’t exactly impressed this year, but have also done well enough to be 10th in the table and get some surprising results including their recent 1-0 win over Spurs. The last time these two met it ended in a 0-0 draw and this could very easily happen again. Chelsea has been very busy this season and looked quite tired and leggy on Sunday. They have played 63 matches since July 18th. This doesn’t include all of their pre-season matches and also doesn’t include the many matches that several of their players have played during international duty for friendlies, Euro 2012 or World Cup qualifiers. 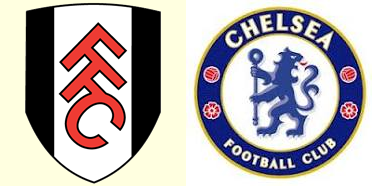 I think Fulham has a very good chance to get a draw and possibly even a win. I had initially predicted a 3-1 Chelsea win, and they could come away with a similar result, but I have changed my pick following their performance on Sunday. I thought they looked worn out for most of the game. Their single goal came from a fantastic shot by Demba Ba and was pure class on his part. My prediction for Wednesday’s match is a draw. It is certainly a match that Chelsea should look to win, but I don’t think they have it in them to do so.